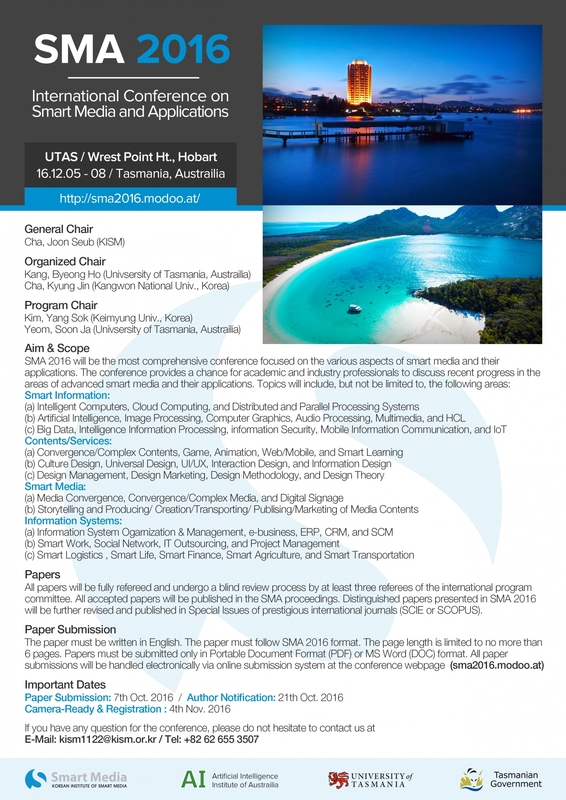 AI 2016 will be co-located with the 2016 International Conference on Smart Media and Applications. SMA 2016 will be the most comprehensive conference focused on the various aspects of advances in smart media and applications. The goal of this conference is to bring together researchers from academia and industry as well as practitioners to share ideas, problems and solutions related to the multifaceted aspects of smart media and applications.